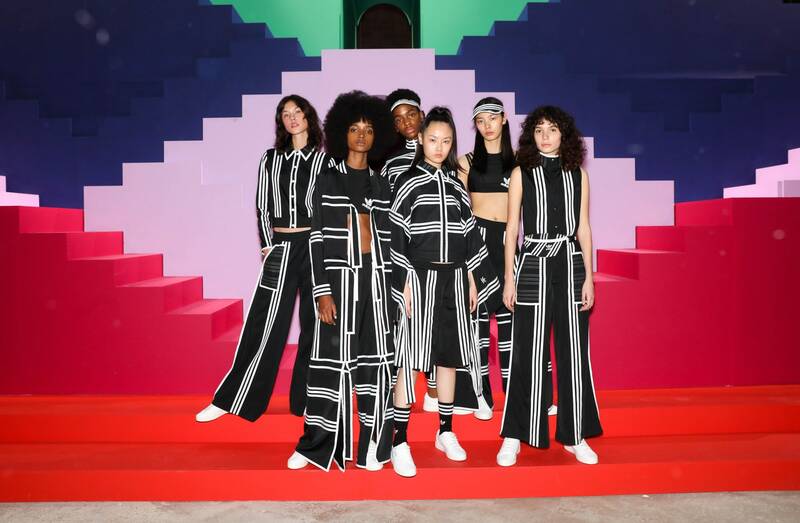 Born in Seoul, Choi was partially inspired by her thesis collection at Parsons, where she made heavy use of stripes based on her love for architecture and her Korean heritage. The collection is now available at Adidas flagship locations and select retail partners, including Dover Street Market, Net-A-Porter, Barney’s, Nordstrom, KITH and Urban Outfitters. Teen Vogue spoke with the designer about the inspiration behind the collection and her advice for upcoming designers. Teen Vogue: What was the inspiration behind this collection? 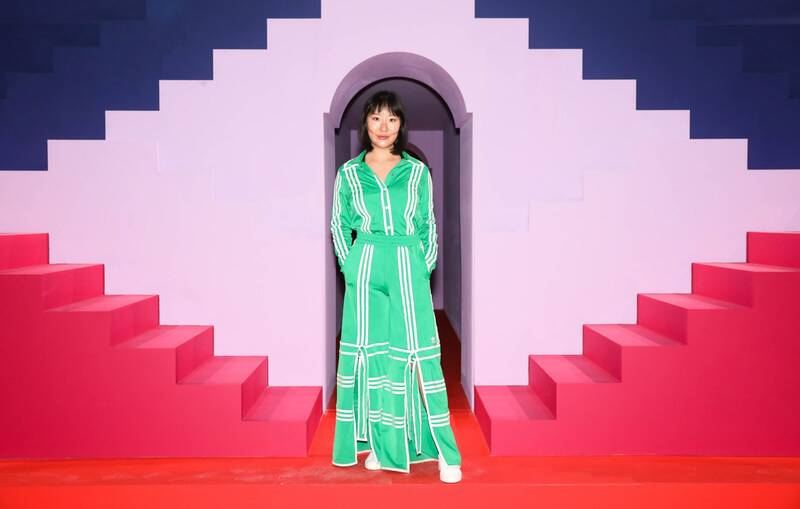 Ji Won Choi: It was very much a coming together of my aesthetic, which draws from the architectural shapes of Korean garments and classic Adidas motifs. It was meant to be inspired by my work at Parsons. My thesis collection used the concept of a stripe as the starting point for each garment and incorporated a repeated stripe motif throughout. What could be more natural than evolving this into the iconic Adidas three stripes? TV: What does the opportunity to design for Adidas mean to you? JWC: I’m honestly still processing it. It means that my work, which can tend to be more on the niche end, has this massive global platform and a bigger audience than I ever thought would be possible. Anywhere in the world, if someone sees the three stripes, they know exactly what they stand for. It’s an amazing family to be a part of. TV: How do you want people to feel when they put on your clothes? JWC: Strong and confident! Expressive, but with ease. TV: The clothing was showcased in a colorful 3-D maze with models walking up and down the staircases. How did this imagery tie into your collection? JWC: It was important to me that we incorporate movement into the presentation since that’s a big part of the inspiration behind this collection and all of my work. I knew the presentation couldn’t be static. I really wanted to celebrate individuality and have a diverse group of women representing the collection at the presentation. The end result was beyond imagination — the set designer Ben Cullen Williams brought our vision to life in an incredible way. TV: Any advice for young designers looking to get their feet wet in the industry? JWC: My biggest advice for young designers is to have a very clear point of view and defined design aesthetic. Your design aesthetic can always evolve, but when you’re just starting out, it’s very important to have a clear sense of who you are and who you are as a brand. Naomi Elizée is the fashion market assistant at Vogue and a Teen Vogue contributor. This interview has been edited and condensed.